Sirius XM Chief Executive Mel Karmazin is leaving the post in February and potential replacements are beginning to emerge. According to Reuters, Sirius XM’s Pres. of Operations and Sales Jim Meyer is a leading internal contender because he oversees the company’s lucrative auto industry relationships. Other possibilities include Sirius XM’s CFO David Frear, or bringing in an outside candidate. In more Sirius XM news, the satcaster has extended its agreement with Hyundai Motor America for three years, including a provision for further extension through August of 2017. All Hyundai customers will receive a 3-month SiriusXM subscription with the purchase of any new Hyundai vehicle with a factory-equipped satellite radio. Deep South Entertainment’s Dave Rose has released the book Everything I Know About The Music Business I Learned From My Cousin Rick; The Musician’s Practical Guide to Success, available at Amazon.com. Published by Shuman & Goldstein Publishing Co. LTD, the book aims to help musicians navigate the complicated path to success in the industry. Deep South Entertainment’s services include artist management, event production, artist booking, consulting and more. Deep South Entertainment’s artist roster currently includes Parmalee, Marcy Playground, Stryper and others. 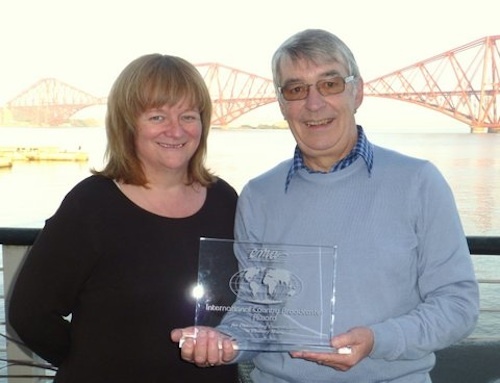 CMA Director of International Relations Bobbi Boyce recently presented Ken Macleod of Radio Tay in Scotland with the CMA International Broadcaster Award. Macleod has been the presenter of “It’s Country” since the show debuted on Radio Tay in October 1980. The longest-running program on Radio Tay, “It’s Country” airs each Wednesday and Sunday. Guests over the years have included Boxcar Willie, Garth Brooks, Johnny Cash, Rodney Crowell, Crystal Gayle, Vince Gill, Tom T. Hall, George Hamilton IV, Emmylou Harris, Waylon Jennings, George Jones, Toby Keith, Brad Paisley, Charley Pride, Reba, Gene Watson, Tammy Wynette, and others. 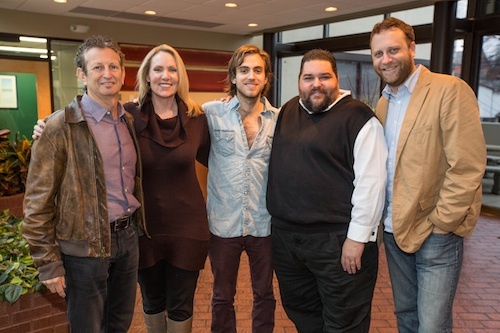 SESAC artist/songwriter Andrew Combs has signed with Razor & Tie Publishing for representation. Combs recently released his debut full-length album, Worried Man, in October 2012 and has built up a fan base while touring with the likes of Robert Ellis, Jason Isbell and Caitlin Rose.